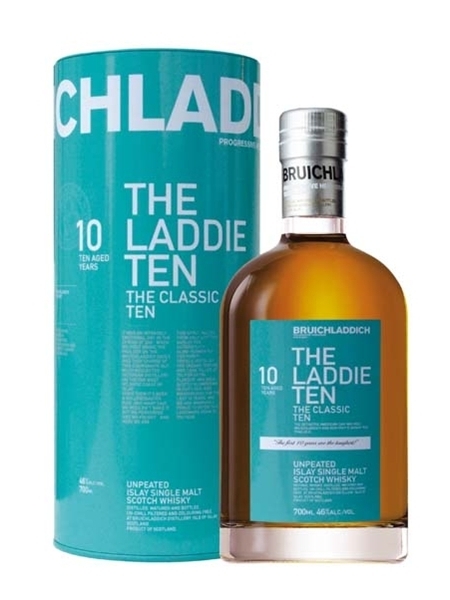 Bruichladdich 10 Year Old or the Laddie Ten (~€50) is the landmark first 10 year old whisky to be distilled, matured and bottled following the re-opening of the Bruichladdich distillery in 2001. This first Laddie Ten release is indeed very special. It's unpeated, natural colour, unchill-filtered and bottled at 46% ABV.